A.W. 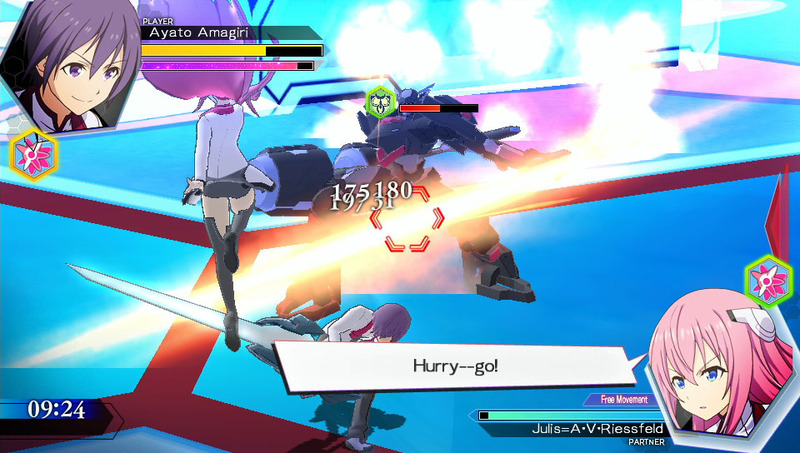 Phoenix Festa takes the four main girls of The Asterisk War: The Academy City on the Water and turns the “Phoenix Festa” tournament arc into a combination of dating sim and light action-RPG. For the uninitiated, this is one of those sci-fi franchises where — in the wake of the Earth’s destruction — the government decides that the best idea is to set up schools where a bunch of superpowered kids beat the crap out of each other. You play as a guy just admitted to one of those schools, Seidoukan Academy, and are just lucky enough to have all the attractive, notable female students after you. And while protagonist Ayato Amagiri seems to be canonically interested in the amazingly-named First Princess of Lieseltania, Julis-Alexia von Riessfelt, this Vita spinoff gives you the opportunity to woo one of the other main girls: mature student council president Claudia, air-headed childhood pal Saya or the shy and easily-embarrassed Kirin, who’s actually the top-ranked student at the school. None of these characters establish identities outside of the prototypical anime archetypes. Kirin will always react with blushing mortification to anything with even the slightest hint of sexuality; Julis, the resident tsundere, will pretend not to like the lead character despite it being incredibly obvious that she does. That’s not such a terrible thing on its own, as even the most archetype-laden project can make me crack a smile if written well enough, but A.W. 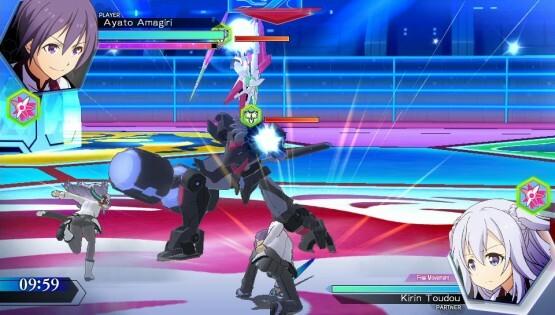 Phoenix Festa feels extremely thin in the narrative department (even for a game like this). A lot of this has to do with how things are structured — something I’ll talk more about shortly — but the story really pales in comparison to other Vita dating sims like Norn9: Var Commons and Code: Realize. Perhaps to keep things from straying too much from the established canon, and because the game takes place over such a small arc in the overall franchise, there just aren’t any moments where anything big or interesting happens. I was shocked when even the titular tournament itself, from start to finish, felt limp and underwhelming. I mentioned Ayato Amagiri before, but A.W. : Phoenix Festa actually lets you choose between him and an original character to take through the story mode. The difference between the two is actually huge, so think carefully before choosing one over the other. Ayato’s story begins just two months before the tournament, and his stats are already just about where they need to be; the player-created character has four months to prepare, but begins with incredibly low stats that need to be raised with training. It’s a bit strange to me that the game puts Ayato’s campaign up front, as if the other is something to experience afterward — because beginning with his doesn’t feel right in the slightest. In both storylines, things follow a “calendar” system sort of like Persona: you’ve got two slots, AM and PM, to fill with activities. These include things like “Training,” which boosts your character’s stats; “Job,” in which you play a combat minigame for money; and “Appointments,” which allows you to schedule duels to increase your ranking and dates to boost your affection with one of the girls. In Ayato’s campaign, the game just sort of throws you into the middle of all this without much context. Sure, there are the obligatory screens full of text that explain different systems, but none of these are accessible again if you need them. Besides that, you’ve got just two weeks to find yourself a partner before the story ends prematurely, and I found myself with questions that not even those walls of text could answer. How can I possibly raise a girl’s affection high enough to get her to partner up with Ayato in such a short time? Why does she continually reject Ayato’s attempts to ask her on a date — is it RNG-related or am I doing something wrong? Though I eventually managed to rope poor Kirin into pairing with Ayato, it felt more like luck than anything I actually earned. Here’s the answer to these problems: play the original character’s campaign first. Though it’s not highlighted when you first pick Story mode, and the description doesn’t really indicate it, the two extra months you’re afforded are spent easing you into everything. With your stats starting at a low level, and with much more time to raise affection with a girl prior to asking her to partner with you, there’s ample opportunity to get a handle on all A.W. : Phoenix Festa has to offer. When it comes down to it, it’s pretty fun too — as mentioned before, the options you’ve got make planning out your days a satisfying endeavor: training to raise your stats, grabbing some extra cash with minigames and taking your chosen gal out on dates all have to be balanced so you’re prepared for mandatory upcoming fights. Those fights are pretty solid, too; the combat here isn’t complex in the slightest, but it’s enjoyable enough as a hack-and-slash affair, especially when characters become speedier and you’re paired up for 2-on-2 matches with your partner. You’ve got your weak and strong basic attacks, a jump, a block, a special solo move and a special paired move to use when you’re in sync with your partner. I especially like how the minigames use the battle system, even if they’re nothing that special; still, dodging enemy attacks for 30 seconds or going after a pair of super-evasive enemies adds some variety in between all the standard duels. A.W. 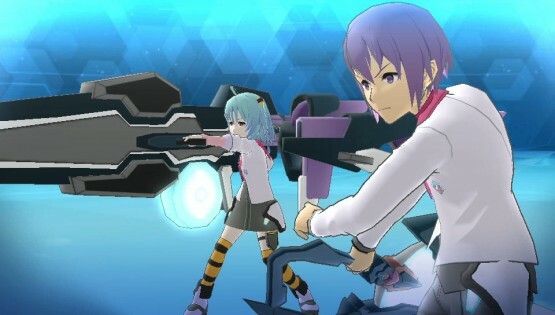 : Phoenix Festa might be fun, but its replay value is really going to depend on your tolerance for repetition. After getting just one of the girls’ endings, I was completely satisfied and didn’t feel the need to go after the other routes — something that takes a mere three hours for Ayato, and about 5 for the original character. If you’re the type that loves to complete every single route in a dating sim or visual novel, you’ll squeeze many, many more hours out of this. Unfortunately, for me, the repetitive gameplay and lack of variety in the actual narrative didn’t encourage me to keep going. When I said that nothing of consequence really happens in the different routes, I meant it; the tournament goes by without much buildup, excitement or fanfare, and even with girls at max affection, the big payoff seems to be a hug and a few lines of cutesy dialogue. That’s pretty lame. Vita’s already seen a number of dating sims, but none of them combine action-RPG gameplay with visual novel elements like A.W. : Phoenix Festa. Because it handles both of these decently, it’s worth checking out for fans of the Asterisk War franchise and anyone who thinks they might enjoy such a combination. Unfortunately, it’s way too light on narrative to leave much of an impact; for a game about a tournament, it lacks the sort of excitement and tension you’d expect, and even the dating sim elements pay off in thin dividends. Still, there’s enough here for a bit of breezy entertainment, and sometimes that’s all you’re looking for. Review code for A.W. : Phoenix Festa provided by publisher. Reviewed on PlayStation Vita. For more information on scoring, please read our Review Policy here.